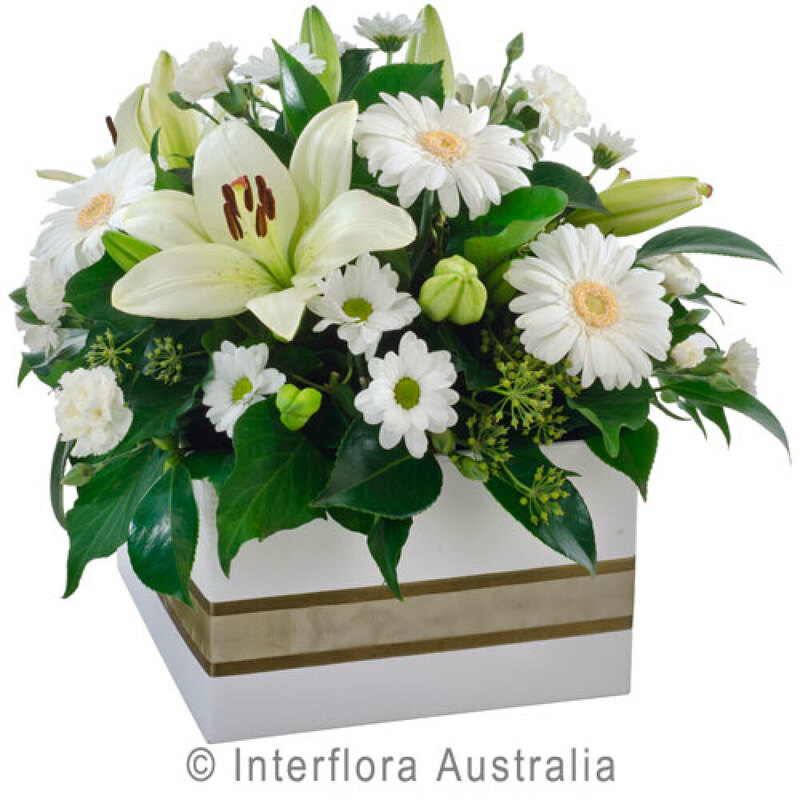 Enchantment is a good sized box arrangement of all white and green toned flowers. The fresh crisp look is created by using a beautiful mix of Lillies, roses gerberas and chrysanthiums. This look is great for those who love clean lines.